Li Chengwen, ambassador for China-Arab States Cooperation Forum Affairs of China's Foreign Ministry, refuted on Sunday the criticism that China's Belt and Road Initiative (BRI) will create so-called "debt trap" for some participating countries. "China is trying to find mechanisms to avoid the 'debt trap,'" Li said during a session on the second day of the World Economic Forum on the Middle East and North Africa 2019 held in the Dead Sea area of Jordan. The Chinese envoy was responding to the criticism directed at the BRI by some people in the United States and Europe ahead of the second Belt and Road Forum for International Cooperation, due to be hosted by China later this month in Beijing. 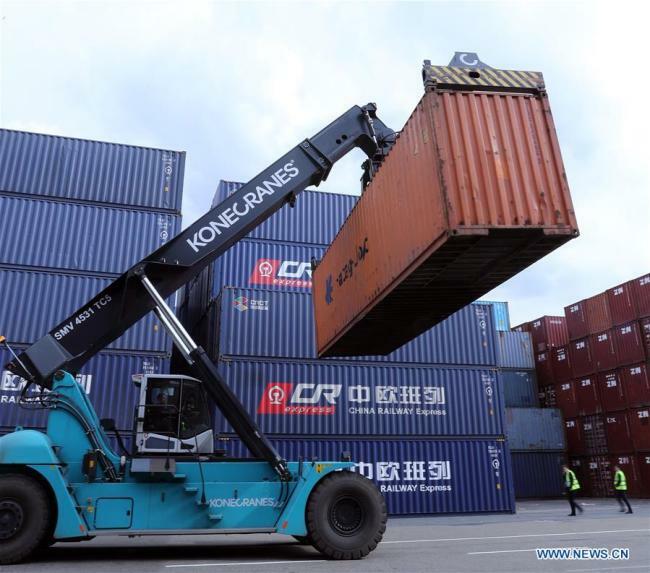 The initiative, proposed by China in 2013, aims at building a trade and infrastructure network connecting Asia with Europe and Africa along the ancient trade routes of the Silk Road to seek common development and prosperity. Li pointed out that no participating country has complained of falling into the so-called "trap" of Chinese loans. "The Belt and Road Initiative aims to increase the economic prosperity of a country. It does not aim at expanding the political and geographical authority of China in the world," he said. Many participants at the forum in Jordan agreed with Li's comments. "If you keep your interest first, you will not find China an unfair partner," said Shandana Gulzar Khan, Pakistan's parliamentary secretary for commerce. "But it depends on how well you do your homework." In Pakistan, a major BRI participating country, the China-Pakistan Economic Corridor has created tens of thousands of jobs and revived the economy of an entire region, Khan noted. Speaking at the session, He Wenping, a research fellow of the Institute of West-Asian and African Studies, Chinese Academy of Social Sciences, echoed Li's remarks. "The biggest worry on the 'debt-trap diplomacy' should come from China's side, not from outside. It is tax payers' money," the Chinese professor said. "China is not waving the 'China First' flag," she said. The upcoming Belt and Road forum to be held in Beijing later this month could be an opportunity to kickstart a "second phase" of the initiative, she added.